This week has been tough! Challenging – but tough! So there you go, thats my excuse for taking so long to post this recipe! 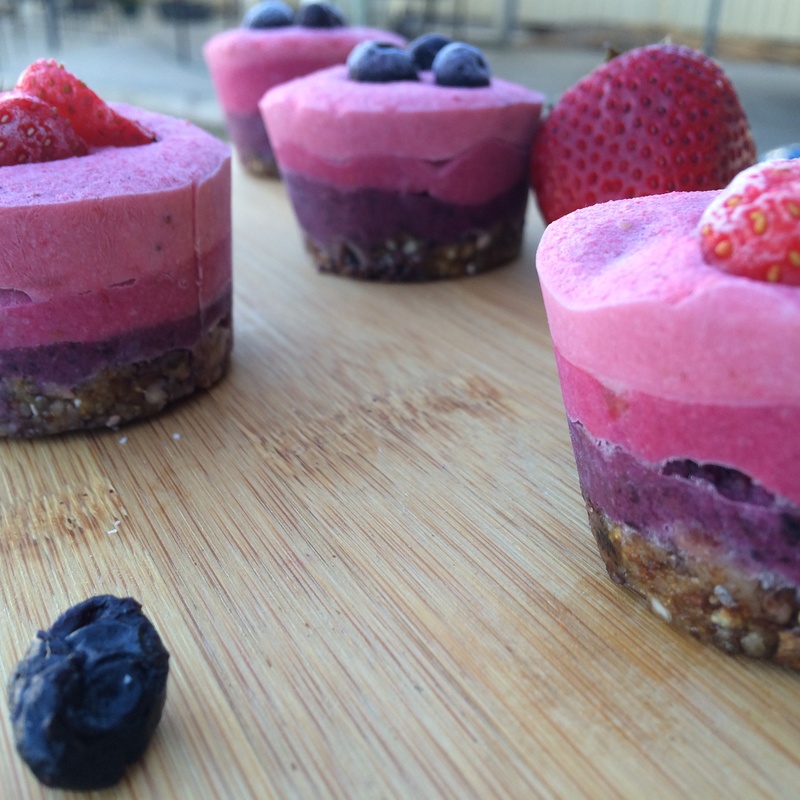 My Raw Triple Berry Cheesecakes! These are so refreshing, you can make them as sweet as you want but i like to contrast the layers a little bit so you get that sweetness and tang with some of the berries! The recipe is below…but adjust the sweetness according to your taste! Repeat steps 3, 4 and 5 for the Raspberry and Strawberry layers. Put whatever toppings on that you want and pop them in the freezer to set. Hope you enjoy the recipe! Please let me know if you try the recipe!